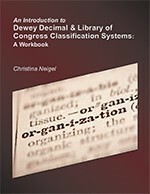 ShopCLA is a resource for the library community to order publications. 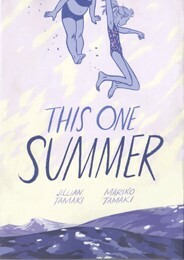 We have access to many ALA titles found on their website. See below for sampling. To order publications found on this page or on the ALA website please email orders (at) cla.ca your purchase order. If you have a account with us already please include this number within the purchase order document. All questions and concerns must be directed to orders (at) cla.ca. We thank you for shopping at ShopCLA! Ordering from the Graphics Department? To order ALA posters, bookmarks or graphic related items, please visit www.accessola.org/web. Your order will be processed within 3-5 business days. If the item is in stock it will be shipped shortly. ALL out of stock items will take up to 3-4 weeks to process and will be shipped within 3-5 business days as soon as they arrive to our facility. Orders placed on or after April 06, 2016 will be final sale and returns will not be accepted due to the pending dissolution of the organization. We apologize for any inconvenience. A special announcement about the CLA distribution of ALA books, please click here! 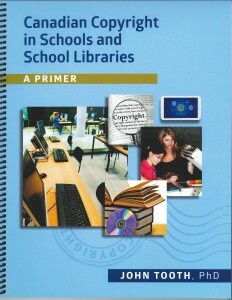 Canadian Copyright in Schools and School Libraries addresses copyright issues that typically arise in those educational settings. The author’s goal is to provide some direction to help school staff across Canada answer copyright questions in their daily work. This publication offers some focus for the reasonable handling of copyright issues based on legal interpretation and case law. John Tooth is a professional librarian and educator with an MLIS from the University of Western Ontario, an MEd and PhD from the University of Winnipeg. After a brief retirement, John accepted a position as Copyright Officer and Head of the Copyright Office for the University of Winnipeg Library beginning in October 2012. Prior to this, he was coordinator of the Instructional Resources Unit of Manitoba Education, and served as the copyright consultant for the Department and for schools for some 35 years. He now undertakes education and copyright consulting work. John has worked on copyright agreements/tarrifs at the provincial and national levels, written on copyright issues, presented locally an nationally on copyright concerns, advocated for copyright reform through the Canadian Library Association’s Copyright Advisory Committee and as the Manitoba representative on the Council of Ministers of Education, Canada, Copyright Consortium, and addressed user questions about operating in Canada’s confusing and highly interpretative copyright world. John is not a copyright lawyer, but rather an active participant in the copyright debate working with and learning from the library, education, and legal professions specializing in copyright, from other copyright neophytes, and from answering endless great questions asked by inquisitive and confused teacher-librarians, other school library staff, and school administrators. Want to know more about the book? Click here to see a video of John Tooth speaking about his book! 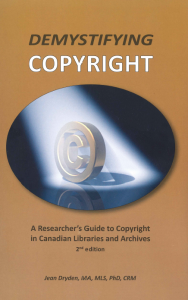 The guide is intended to provide concise accessible information about Canadian copyright law for those who conduct research in Canadian libraries and archives in order to understand how copyright works and how to apply the rules to particular situations. The term ‘researcher’ includes all those who consult the resources of libraries and archives for any purpose, whether the outcome is a dissertation, a family tree, a school project, or the answer to a question of personal interest. The librarians and archivists who serve researchers will also find it useful when responding to questions about copyright; however, the guide does not cover the administration of copyright matters in a library or archives. with the first Canadian President to IFLA, Ingrid Parent. 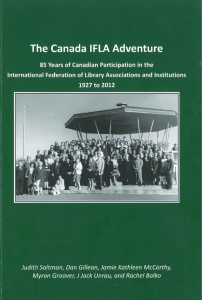 Library Associations and Institutions1927 to 2012. Note: This is a signed copy by the author. Limited quantities remain. When orphaned Irish siblings Molly and Kip arrive to work as servants at a creepy, crumbling English manor house, they discover that the house and its inhabitants are not what they seem. Soon the siblings are confronted by a mysterious stranger and the secrets of the cursed house will change their lives forever. This much-anticipated follow up to Jonathan Auxier’s exceptional debut, Peter Nimble and His Fantastic Eyes, is a Victorian mystery in the tradition of Washington Irving and Edgar Allan Poe. 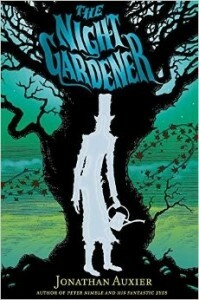 The Night Gardener is a mesmerizing read and a classic in the making.